This truck has been in the family since 1962 when my dad and uncle Athol bought it from Alex Lane Chrysler dealer in Pinjarra. 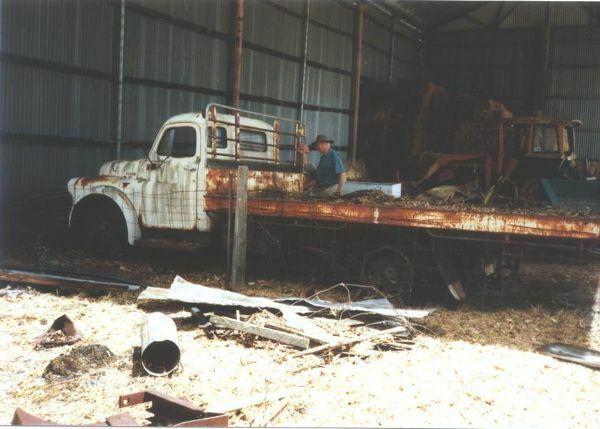 A 2 ton Ford was traded in for this truck, the truck was used for general farm duties on the family farm in Serpentine. 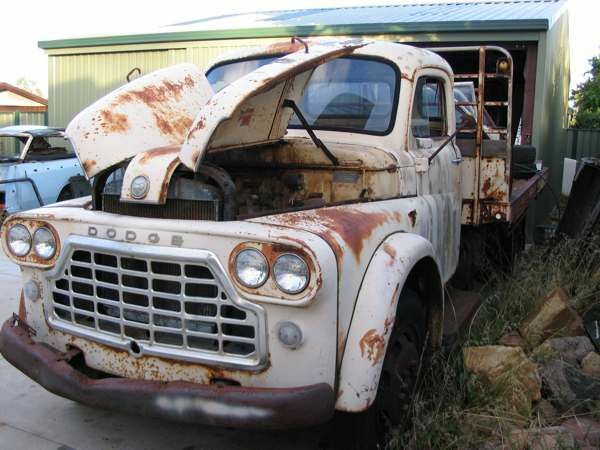 Its original number plate was MY 299 (shire of Murray) the truck turned out to be a far better vehicle than the Ford they had previously. 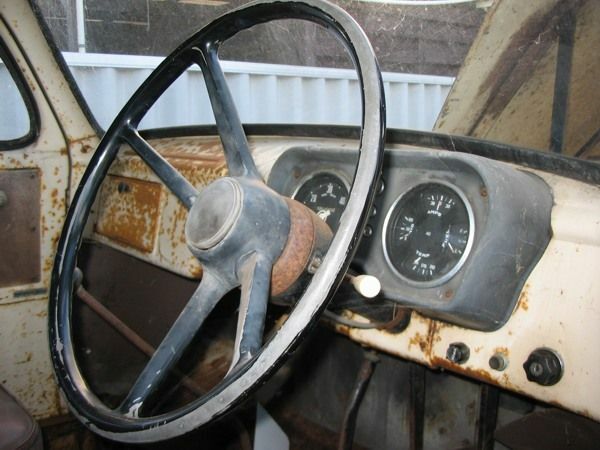 The truck is a 1959 Dodge 3-59 D, 3 means it’s a 3 tonner, 59 is for the wheel base of 159 inches and D is its designation in the total range of trucks that Chrysler made. 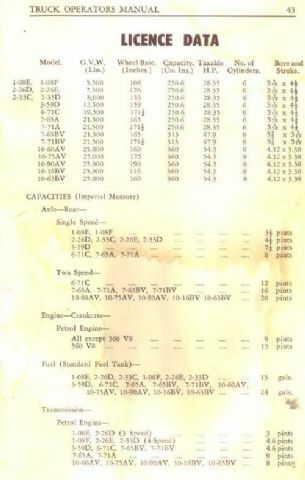 It’s powered by 251 inch side valve 6 cylinder with 4 speed crash box and single speed diff and rolls on 20inch wheels. On the back is a 14 foot steel tray, this was made by Howard porter. This tray is all steel which was something of a rarity back then. This truck was no speed machine with 50-55 mph as much as it would do comfortably Dad recalls. This made for long trips to their other property near Esperance, the truck was always well loaded for these long runs with up to 6-7 tonnes sometimes. 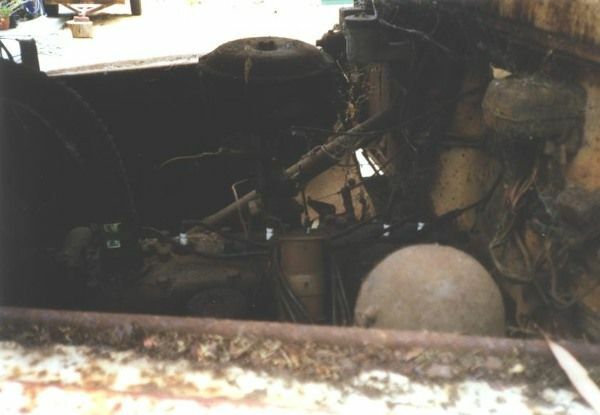 The truck was used in this form through to the mid 70s without any major problems, by now the farm was being wound down in Serpentine and the truck was put onto farm rego (restricted road use). 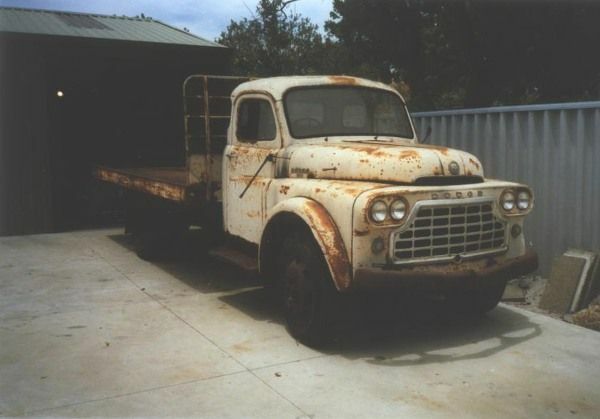 It was now becoming a bit tired but still a good old truck, it was used like this to about 1982 when the brakes gave up and it was parked up in the end of the hay shed. Through its life the truck was only ever normally maintained with only the radiator, water pump and tie rods being replaced The speedo stoped working at some point but shows 55429 miles on the clock so we have no idea how many miles she has really done. 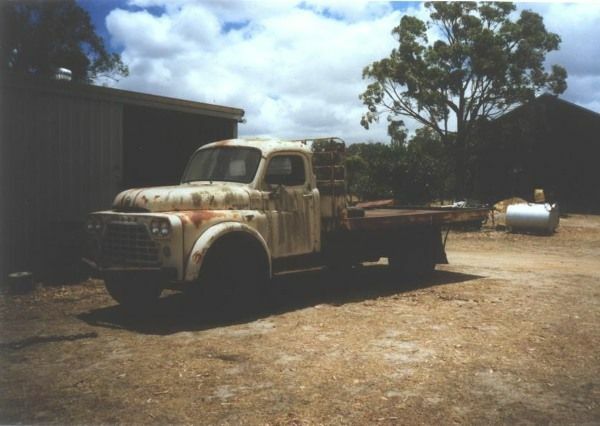 Christmas 2003 I`m talking to my Uncle Athol and the subject of the old truck comes up, He says that uncle Eric is putting his place in Serpentine on the market and if I wanted to do save the old girl would have to do so soon. January 2004 I go and take a look at it and measure it to see if it will fit through my car port to get it in the shed, it cleared with about 6-8 inches to spare. Now it was time to move it out of the shed so I got the tractor and chain, hooked it up but it was not going to be disturbed, those brakes that stopped working 22 years ago now worked real good. Time for a bigger Tractor this time saw her move from her resting place, still with front wheels dragging. Backed off the front brakes and towed it over to the other shed. 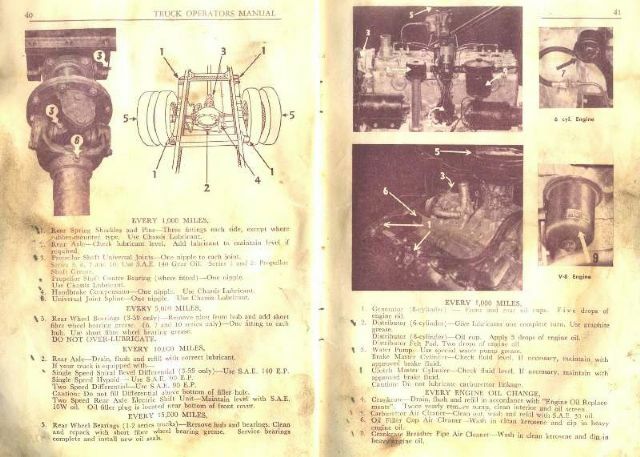 We pumped up the tyres, cleaned the junk of the back and blew all the sand and loose rust of the top of the engine. Pulled out the spark plugs and pored some diesel down each cylinder and got the engine turning over with the crank handle. Organised to come back in a few weeks and get it. Ended up getting a tilt tray truck to move it back home. Once at home it was time to see if it was going to fire up so battery in and cleaned the plugs and points got a spark happing, had a 5 litre can to gravity feed the carbie. Oil and water full and were ready to see if she’s going to fire up. Hit the starter button and it’s trying to go with smoke coming out of the exhaust and the breather, finally started with a big cloud of smoke once that cleared it didn’t blow too much smoke and had good oil pressure. 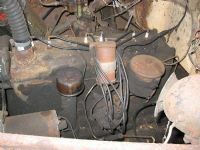 After freeing up the clutch master and slave cylinders to get the clutch working got it drivable. Couldn’t resist the temptation and had to take it for a drive round the block at night, drove not bad for an old truck with nothing but gravity to stop. First gear is low as and can’t be stalled at all. Gave it a hose and clean out - has rust in the cab floor, bottom of the doors, guards, bonnets, the roof's dented (I can remember sitting on the roof as a kid) and the bumper is bent. 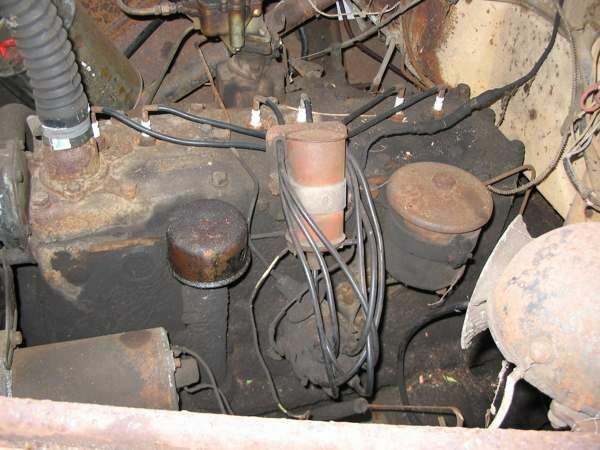 The tray also needs work with rust and dents to sort out. 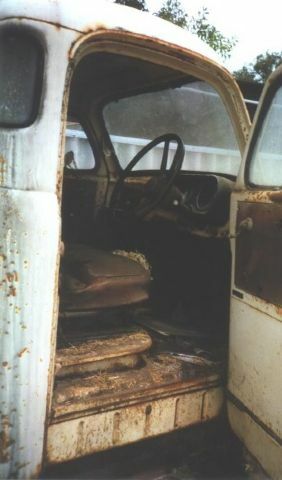 On the good side the truck is missing only the driver’s door window and inside handle but everything else is there. The truck is now sitting in the shed waiting to be worked on and I have got a spare Ute to use as parts. The plan is to restore it to what it was as new and hopefully by 2009 for it’s 50th birthday.